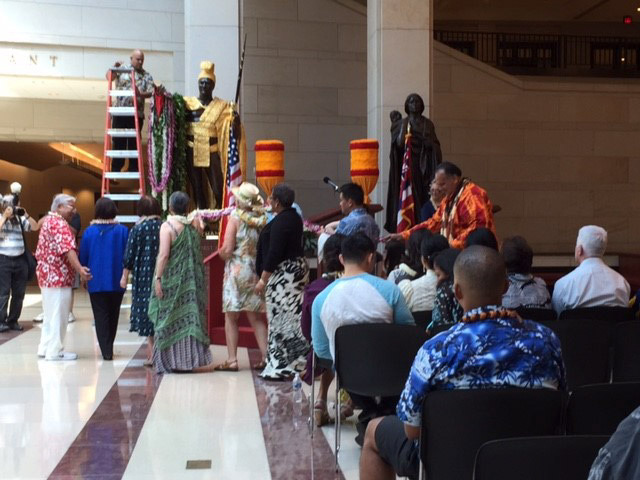 University of Hawai‘i Alumni Association‒National Capital Region Chapter (UHAA‒NCRC) members participated in the Lei Draping Ceremony for King Kamehameha held on June 11, 2017 at the U.S. Capitol Visitors Center. The chapter was led by chapter President Byron Shorter and Vice President Dr. Ernie Takafuji. 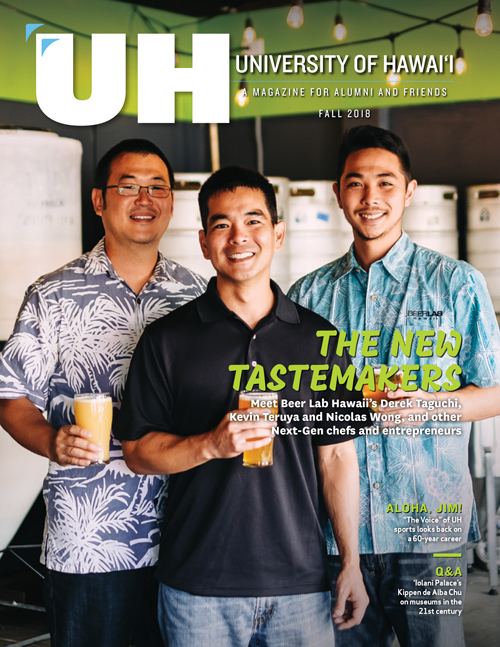 As the lei were presented, all UH alums joined in, including U.S. Senator Mazie Hirono, Representative Colleen Hanabusa and Kaua‘i Mayor Bernard Carvalho. The event is sponsored by the Washington DC Hawaii State Society each year. UHAA‒NCRC purchases the flowers directly from Hawai‘i and makes the lei at the United States Botanic Garden the day before the event.